When Niarra (palawa) and Te Umuroa (Māori) come across the last Tasmanian Tiger their only option is to hide it in Aotearoa New Zealand. Keen conservationists Niarra and Te Umuroa have been best friends for years. While checking their bush cams one weekend a Tasmanian Tiger reveals himself to the duo and leads them to a cave filled with ancient Palawa art. A world of magic opens up for them as they quickly escape the clutches of some determined hunters and board a hybrid Pakana/Māori canoe to set sail for Aotearoa. But the journey has its challenges when they are visited by Māori Gods and Palawa spirits who become obstacles for the two voyagers, opening them up to a surreal display of culture and belonging. Forced to face their own culture’s differences and similarities, the voyagers, with Tigs the Tassie Tiger at the helm, arrive in Aotearoa where their lives are changed forever. A three week creative development will happen in Sydney in October working towards a premier season in Sydney in January 2021. 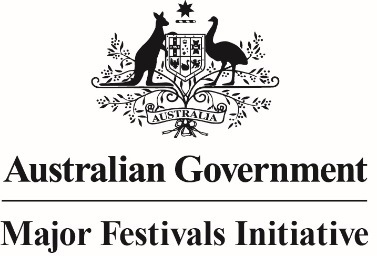 Stage 1 supported by: Ten Days on the Island, Major Festivals Initiative, delegates of the 2017 PAC Australia conference and Illbijerri Theatre Company (Dramaturgy).